A true blue foodie myself, lazy days especially Sundays, I look for Sunday brunches. As Sundays are also associated with Monday mania, I prefer brunches as there is no hurry to get up, devour and savor your food, yet you have time left to merge in Monday Mania. 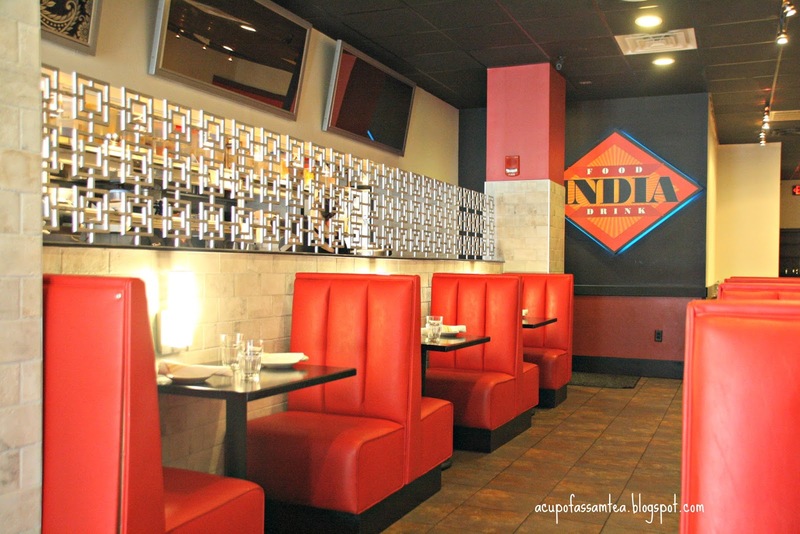 Last weekend was such a savory Sunday, and we went to India, West Hartford for Sunday brunch. If you follow me, you might have read India West Hartford lunch review earlier, here is the post. India West Hartford has an interior that blends India intricates with urban design, and we were humbly and quickly greeted. They have an optional entry of menu where you can choose street style India food. The menu is not too extensive to overwhelm yet consisting most Indian street style food. Most Indian street style foods are indulgent. 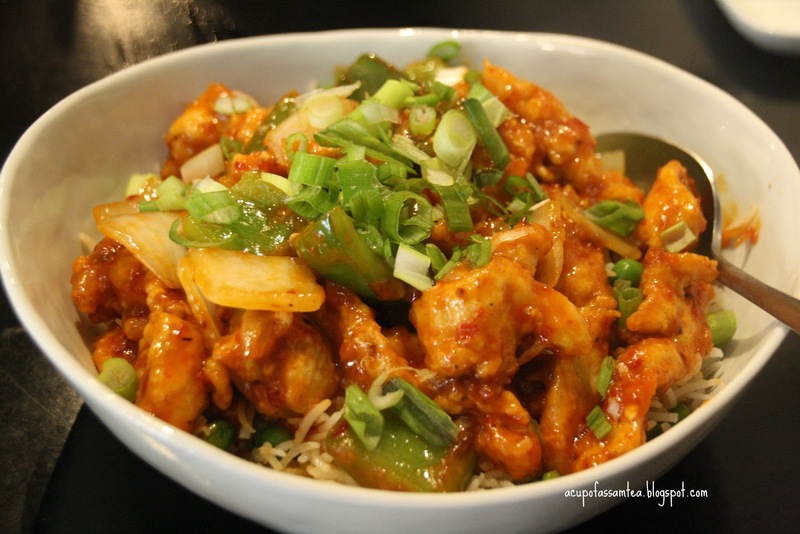 Here I indulged with chili chicken, Indochinese. Delicately deep fried chicken pieces with relishing red sauce, crispy veggies, succulent-chunky onion pieces and green pepper fiercely flavorful. A full of high on sin yet worth the sin decadent. A must try if you happen to be into Sunday brunches. For my son, he had veg Manchurian. Vegetable balls dipped in soy and garlic based sauce on a bed of basmati rice. 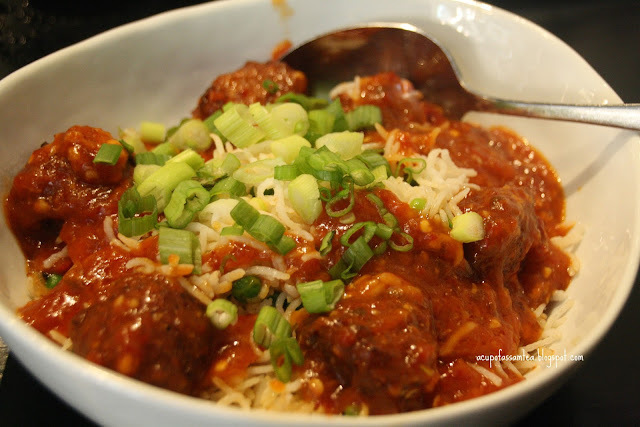 It was absolutely delectable with the perfect pair of the mouth-watering Manchurian. Then came the chicken Kathi roll for my husband. A cooked to perfection chicken with yogurt and medley of masalas and wrapped in a wholesome wholewheat wrap. Served with healthful veggies. The raving part of India West Hartford is that it sources its vegetables from the local organic farms. You can sense that in your every bite, the twists of restaurant style yet goodness of healthy home cooking. My daughter opted for Gobhi Paratha, cauliflower bread. An Indian cauliflower whole wheat bread, a bread stuffed with hearty cauliflower and carefully cooked in clarified butter. A great for picky eaters for fulfilling and satisfying. Our Sunday brunch in India West Hartford was certainly satisfying and ended there, but the taste and flavor keep inviting us over again. Have great weekend guys. All of these dishes look amazing. I would like to try them all but the one I'm most interested in is the cauliflower bread. I eat cauliflower almost daily, I love it . Ooh, these all look so wonderful! Thank you for sharing some awesome dishes! That food looks amazing. It does seem quite hearty and filling for brunch. But it's better to get your fill early in the day from what I'm told. Thank you for sharing! These dishes look so delicious and beautiful. I 'm getting hungry already. I couldn't agree more, I like Sundays to be a relaxed and indulgent day when it comes to food! 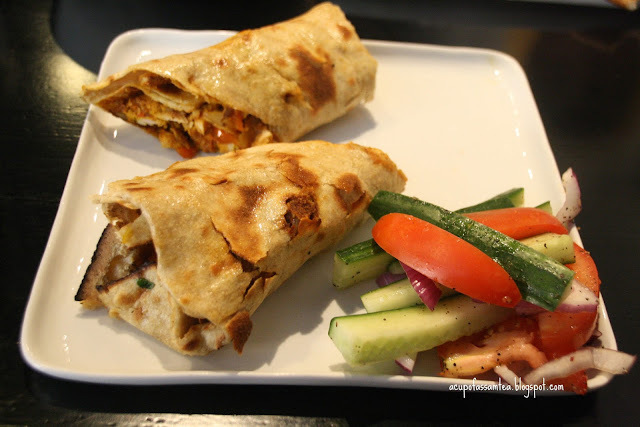 The Kathi roll looks really delicious! I've never heard of the Gobhi Paratha before but that sounds like a nice healthy option! All of these dishes sound amazing. We love Indian food here. We have one favorite restaurant thus far. I’ve been meaning to make my way to Hartford county to try India! I love Chef’s New Haven area restaurants and need to try India for brunch! You are making drool all over my laptop. It's been so long since I had decent Indian food! From one foodie to another, this looks absolutely delicious!! This looks delish! All of the dishes I could eat right now - starting to get hungry, lol. Seems like a nice place to taste delicious food while spending time with loved ones.Food looks delicious! Cauliflower bread sounds absolutely delicious. I love cauliflower so much! So healthy and s good! All the good must taste delicious! I love Indian food but would have never though of having it for brunch! Awesome images. I'm sure those dishes are too delicious. I'm Indian and gobi ke parathe are my all time favorite. I love Indian food. Those posts are so good. I'm literally craving for it now. 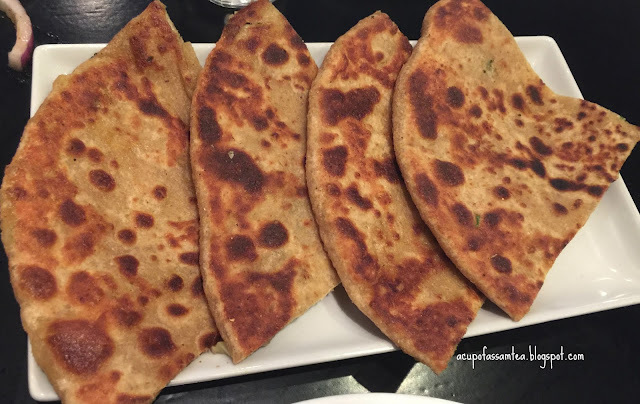 Gobi Paratha is one of my favorites! Ooh. I want to try the Manchuria roll. It sounds so delicious. Yummy. I could see myself really enjoying Indian cuisine. I've never thought about doing Indian for brunch! This looks so delicious! looks Delicious and all of them seems healthy which amazing :)), great post! All the food looks so good! I love Indian food a lot! I just happen to eat the vegan version, lol! The cauliflower bread looks really tasty! I love Indian food and these dishes looks so good. I would love to visit this restaurant soon. Thanks for sharing. I’m with your daughter I would go for Gobhi Paratha, cauliflower bread. It’s dounds truly delicious and filling. I love trying foods from around the world, The cuisine of India is probably my favorite, I just love the spices and herbs they use. Theses dishes look amazing good. I wouldn't even know which tho choose. Now that's a brunch! Looks amazing. I don't do brunch enough, but I love Sunday brunch with friends. I think I'll plan one over the holiday season. Thanks for sharing! This looks so delicious and tempting. First time to hear that cauliflower bread, I would love to try it. Indian food is my absolute favorite. These dishes all look great. My favorite is the Gobhi Paratha! It looks great! I live in Lithuania, and we just have a couple of places who serve Indian food. I would love to have more of it here, just love it. All the dishes look so delicious. WOW everything looks delicious! YUMMY want it all lol ty so much for sharing! I love Indian food, especially because it has that indulgent deliciousness with many vegan options! I haven't tried Indian food but they look good and tasty. I wonder where I can get one in my country. Mouthwatering food! I haven't tried any Indian dishes yet, but looking at the photos here makes me wanna try one now. I'm not sure though if we have Indian food here. These foods looks so delicious. And that cauliflower bread is new to me. And I want to try it. If what's taste of it. Really interesting. Mmm. I would get what you had. Sounds and looks delicious! Yummilicious food! Looks healthy and totally mouthwatering!